I'm just wondering how you guys use an Ipad or tablet for sheet music. Im interested in apps to have an easy workflow, how you change quickly through pages and if you use any other hardware or apps with it. I recommend looking at page turners first and then choosing from the compatible software packages. There is at least one company out there that makes both page turners and music library software, so you know their system will work fairly will with itself. Regarding page turners, I suggest looking at reviews and/or talking to retailers and consider durability, battery systems, and ease of use, among other things. Also consider the surface(s) where you will use the page turner. They might be prone to slide on hard floors or feel too spongy on deep carpet, so a small mat or pedalboard might be a good accessory. 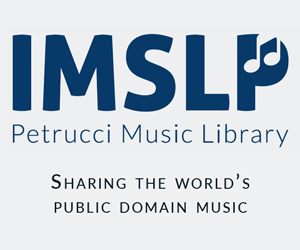 I suggest making sure the software you select supports PDF because so much free music is in PDF (IMSLP) and it's a solid format you can use to import any existing paper music that you have. To digitize my paper music, I took a chance on an iPad "scanner" app that uses the iPad camera to take a picture of a page and then justify it and adjust the contrast to make neat PDF pages. It works fairly well for me and I can just import the PDFs right into the library/page turning software. If you have a large amount of paper music to import, a good desktop scanner may give faster and better results, but you'll have to get the scans from the computer to the iPad. One last note, expect to take some time to get used to the page turner. I had it on the floor for a good couple weeks before I trained myself not to reach up with my hand to turn pages. Here in Chicago, the dominant app is ForScore, though I've seen a handful of people use GigBook. ForScore lets me send the band full set lists, complete with PDFs and annotations. The most popular page turners are by AirTurn, but I like the one by IK—it's cheaper and backlit. An iPad mini is too small for most people to read. The standard size is de rigeur on the bandstand, but I'm starting to see the iPad Pro more and more. Both apps are fine. I think ForScore has a few more features (such as cropping and rotating), but I found GigBook a bit more intuitive at first, and I prefer the way it presents the list of songs as a separate 'home' screen rather than as a pop-up over the score view. I use a wired page turner (http://www.bilipro.com/) which plugs in via a lightning to USB adaptor. I've not used a Bluetooth page turner but I felt that a wired one would be more reliable, because it could never suffer from radio interference or a flat battery. The only issue I've had is that, since the iPad sees it as a keyboard device, you have to unplug it in order to get the on-screen keyboard to appear. I don't know whether Bluetooth page turners have this problem (although my guess is that they do). If using computer or iPad, you needn't flip a page. I use PlayMusic.space to autoscroll my music. It's a web app. What is the correct way of learning sheet music? Can I “dive headfirst” into reading sheet music? How to put notes on top of PDF sheet music document?